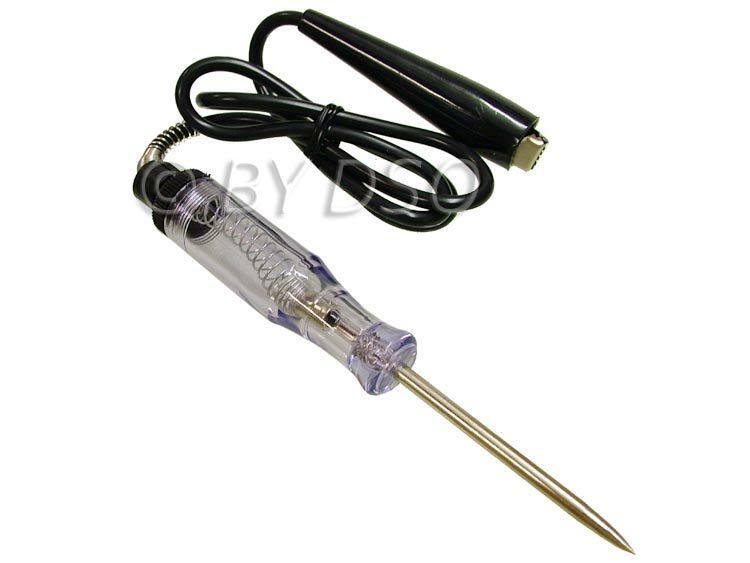 This circuit tester is the ideal tool for testing circuits between 6-12 Volts. The light in the handle glows when circuit connection is complete. A sharp steel probe easily pierces wire insulation to check circuitry. Hardened and tempered carbon steel probe is chrome plated for durability. Flexible spring steel ground wire protector. Complete with heavy duty insulated alligator clip and extra length ground wire. Ideal for finding broken and live wire, tests fuses, light sockets etc. Ideal for Cars, Trucks, S.U.V's, Motorcycles and Small Engines.